Flintshire County Council is seeking feedback from residents on a strategy for public toilets in the County. 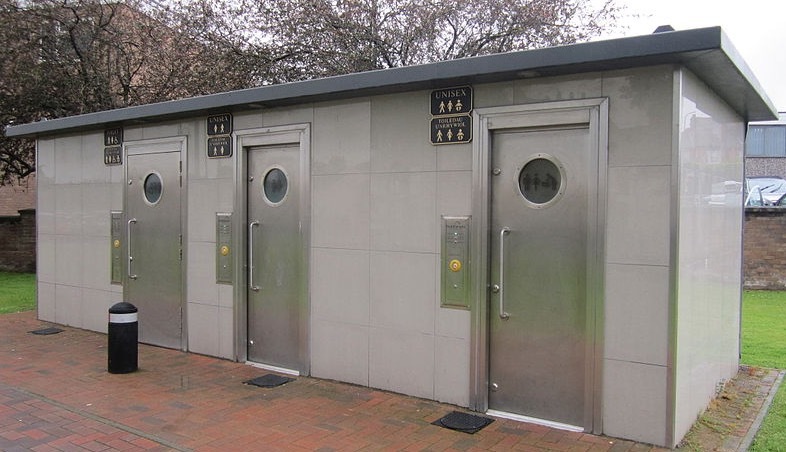 Figures released in 2018 show that there are just four council operated loos across the area following the closure of eight public conveniences since 2000. The four public toilets which remain in operation are: New Street, Mold – Bus Station, Mold – Off High Street, Holywell and Station Road, Talacre. Flintshire Council has also transferred some facilities into the ownership of community groups in a bid to save cash. The authority has now launched a consultation on its Local Toilets Strategy, which is a requirement under Welsh Government legislation. The British Toilet Association regularly gathers data on the number of toilets available to the public. “We have to do five things in life. We have to eat, sleep, breathe, drink and we have to go to the toilet. The danger is that you will get people getting out of their cars in Flintshire and urinating at the side of the road because there are no public toilets. They might also do it in the street or in doorways in town centres and we don’t want to go back to those days. The reason that toilets are closing is that councils have had their funding reduced by the government and they have no legal obligation to maintain these facilities. According to the association’s research, there is one public toilet for every 38,789 residents in Flintshire, compared to one for every 10,930 people on average in other areas of the UK. The council’s consultation is aimed at analysing the location, access and facilities available at all public conveniences in Flintshire, along with how often they are used. “Since 2012, the Council has carried out two reviews of toilet provision across the County. These reviews highlighted that isolated facilities regularly attract antisocial behaviour, which puts people off using them. As a result, we adopted the approach of promoting the use of existing toilets in Council buildings such as libraries and Connects Centres, which people feel more confident and comfortable using.